They’re green, they’re soft, and they’re perfect for your body. That’s what avocados are—and more. Avocados aren’t exactly the most popular fruit. As a matter of fact, a lot of people stay away from it because of its high fat content. What they don’t realize is that the avocado alone contains an overwhelming amount of vitamins and nutrients which can protect them against so many health complications. Aside from the nutrients avocado contains, its alkalizing properties are also one excellent reason for you to include avocados in your diet as much as you can. For all the right reasons, avocados need to be dignified and popularized for its healthy benefits. 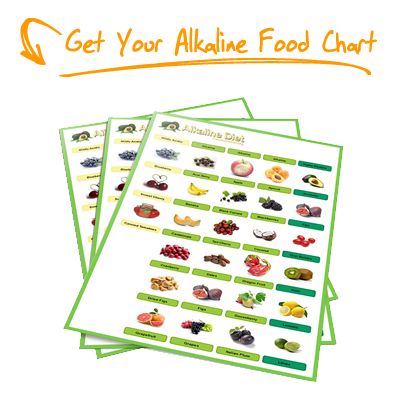 You can start by understanding how it can alkalize and nourish your body! The primary setback of avocados is its high fat content. Each one is packed with 30 grams of fat, which is even more than half of what most fruits contain! This fact alone is enough for most people to shy away from it. However, what avocados contain are monounsaturated fats, which is absolutely healthy for your health. In fact, this is the exact kind of fat recommended by the American Heart Association. Whereas other fats, especially saturated fats, are detrimental to your health, monounsaturated fats are the exact opposite and will not raise your blood cholesterol levels to alarming proportions. This is the kind of healthy fat you don’t get from eating red meat and other unhealthy fat-filled foods! As a matter of fact, research has shown that eating avocado at least once week lowers the blood cholesterol level by around 18%, as well as your bad cholesterol and triglyceride levels. It neither contains cholesterol nor trans fat. Aside from the healthy fats in avocados, they also bring an array of vitamins and minerals. Some of these are vitamin C, folate, beta-carotene, vitamin E, fiber, iron, potassium and folate. What even makes them a wonder fruit is their ability to help your body absorb the nutrients in other foods you eat. That means eating it along with other foods is a perfect way to enjoy your avocado treat. As if all these aren’t enough, they also contain phytonutrients, which are known to combat chronic diseases in your body. As you already know, the foods you eat, your environment and even your own emotions are practically directed at creating toxic acids in your body. A regular meal will contain a substantial serving of refined sugar in your drink, refined flour in your meal and red meat in your viand. All these are acidic food substances that you eat on a regular basis. Even if you tone down the consumption of these acidic substances, you’re still unlucky enough to be exposed to pollution and negative emotions that are just as acidic! This is where avocados come in. Because they’re so alkalizing, having it at least once a day can offset the toxic acids in your body. For starters, it will regulate your blood pressure and blood cholesterol level. 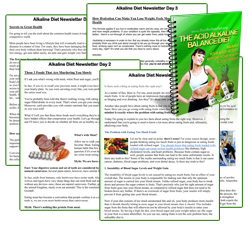 A direct effect of acidic substances is the unrelenting increase of your blood pressure. Avocado’s nutrients, especially potassium, stops this from even happening. 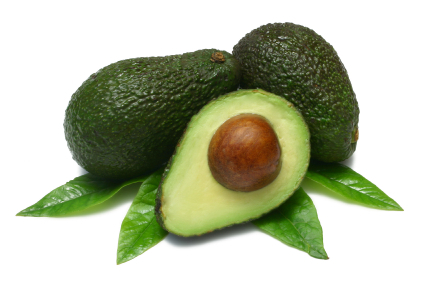 As a matter of fact, avocados are so alkalizing, that it can be absorbed by your skin without even eating it! When your body is too acidic, it has a way of showing in your skin—it becomes dry and easily irritated. By applying a small amount of avocado on your face and skin, it will help regenerate, revitalize, and alkalize your skin. Another alkalizing property of avocado is caused by its fiber content. Fiber helps in digestion and in making sure that an acidic stomach is cleansed of its toxic substances. 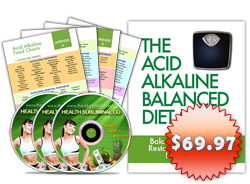 With avocado, your body is restored to its naturally alkaline state. Eating Avocados Daily in Different Refreshing Ways! Now that you know how healthy and alkalizing avocado is, how can you integrate it in your diet? What’s so great about this wonder fruit is that it has been used in every imaginable part of your meal. Unlike other fruits that are better off eaten by itself, avocados are just as scrumptious when eaten alongside other equally delicious ingredients. Avocado is great as an appetizer. As a matter of fact, many avocado salad recipes are out there for you to try. There are many avocado appetizers you should try making yourself. What’s great about eating avocado appetizers like avocado and papaya salad or avocado and asparagus salad is that you can taste the raw, sweet quality of avocados. Breakfast can also be celebrated with avocados. Avocado bread and avocado pocket sandwiches are a great way to start a busy day ahead. Its nutritional content will give you the energy required for a healthy breakfast! Also, you can treat yourself to a mouth-watering serving of roasted garlic avocado pasta, which is perfect for people who want to enjoy their pasta in a refreshingly new way. Lastly, avocados make great dips and dressings. In fact, the ever famous guacamole is made of none other than avocado! Other new, hip dips that you should try are Hawaiian Dip, Fun Fruit Dressing, and the Sweet and Spicy Avocado Dip. There are so much more that you can do with avocados—from side dishes to desserts to entrees and full-blown recipes! You can experiment yourself, or look out for any avocado recipes that will allow you to enjoy this wonder fruit for all its healthy and alkalizing properties! Is avocado fruit or vegetable? There are different opinions…………. If I had a quarter for each time I came to thealkalinediet.org.. Superb read!